1. Those gentle, peaceful creatures grazing in the fields? Don’t let them fool you. Apparently cows can be trouble. 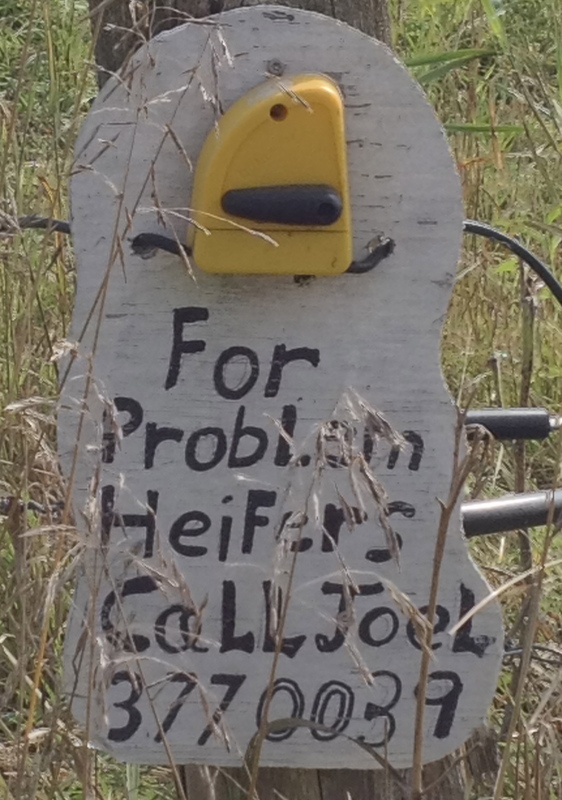 I saw this sign while running down a dirt road, when the only problem I noticed with the heifers was that their damn mooing was drowning out my playlist. But according to a former colleague who recently retired to Vermont, a “problem heifer” is one who breaks through the electric fence and wanders off. He recalls once being awakened by a neighbor’s Guernsey leaning in his bedroom window. I guess he had to call Joel. 2. 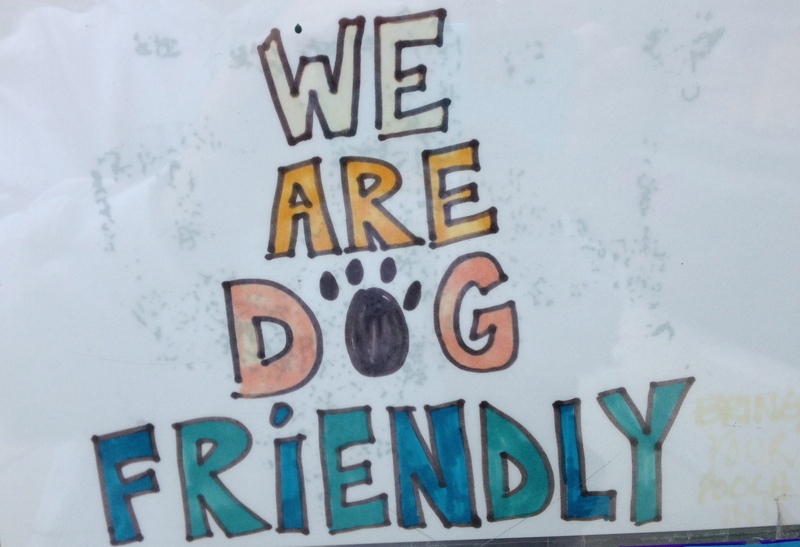 If my oldest daughter and I hadn’t spotted this sign in a local yoga studio, I might have thought it was mocking my new home state. In something of a non-sequitur, it encapsulates two of Vermonters’ favorite activities: denouncing armed conflict and promoting small farms. 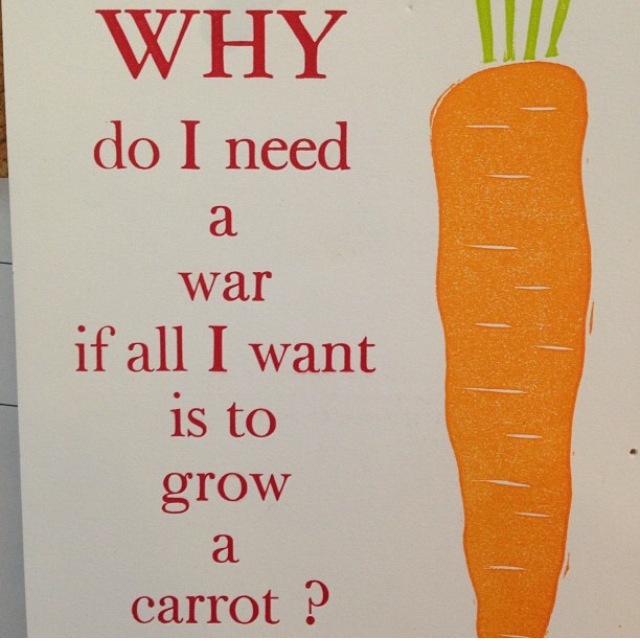 If only the Pentagon had planted a vegetable garden, maybe we could have kept U.S. troops out of Afghanistan. 3 & 4. 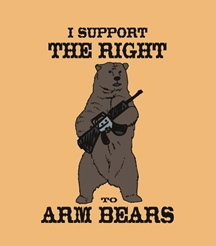 Of course, Vermonters don’t mind armed conflict when it’s with a wild animal. These two signs neatly sum up the state’s divergent views on guns. On the one hand, don’t even think about trying to pry that firearm out of a Vermonter’s hands. On the other, let’s at least make it a fair fight. 5. 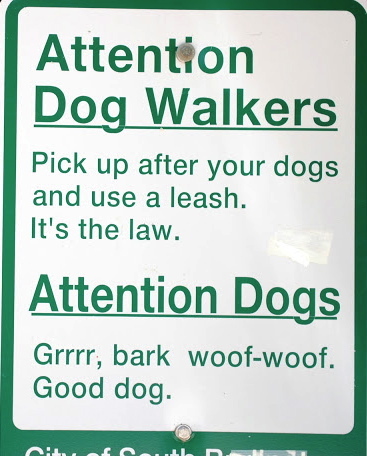 If, during that fair fight, you succeed in killing a deer, bear, moose, or turkey, you are required to tell the state. 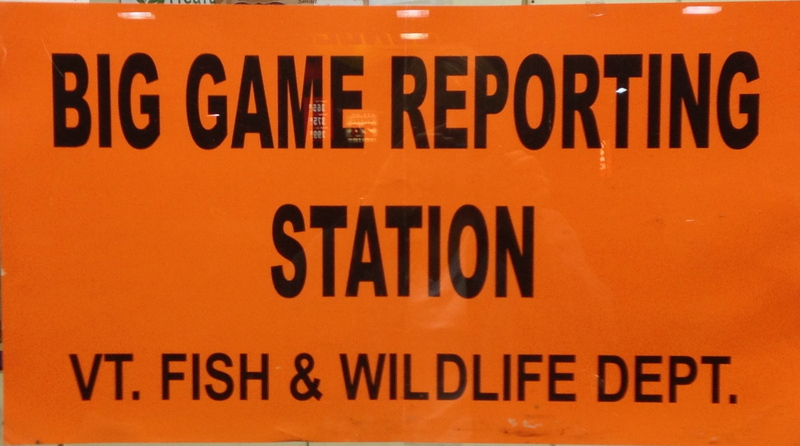 Just head to one of the more than 200 “Big Game Reporting Stations,” located in such places as the Sunoco in Putney, the Hinesburg General Store and–perhaps most conveniently–Joe’s Taxidermy in Reading. 6. At the same time, don’t try killing a moose with your car–even if you’re planning to report it. It will hurt you a lot more than it will hurt the moose. 9. 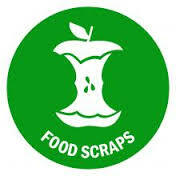 Just as I mastered the art of throwing trash in one bin and recyclables in another, many Vermont dining establishments have added a third container: food scraps. You know, for compost. So now I often find myself staring, paralyzed, into an unappetizing tangle of coffee grounds, banana peels, sandwich crusts, and soggy lettuce, and wondering: does a tea bag count as compost or trash? What about dirty napkins? Pretzels? Eating out shouldn’t be this stressful. 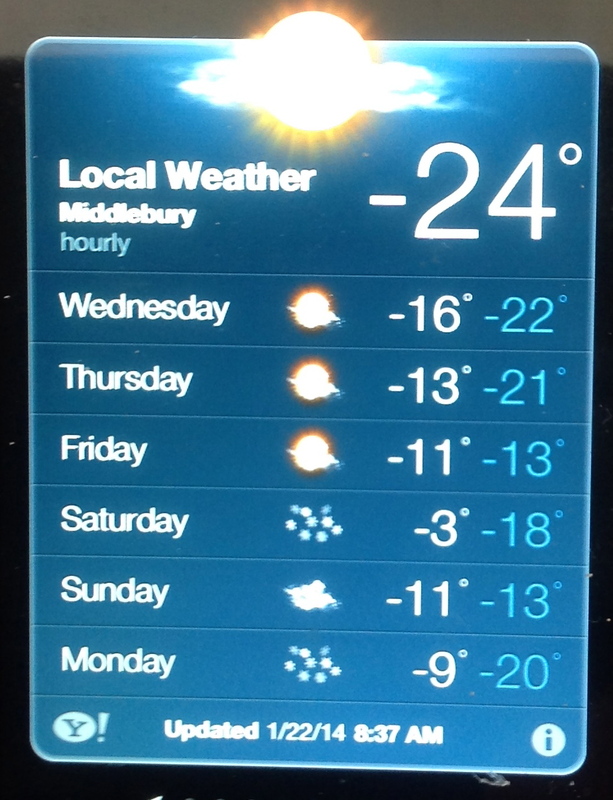 Then I realized I had inadvertently switched the scale from Fahrenheit to Celsius, meaning it was actually only -11. Everything’s relative in Vermont. 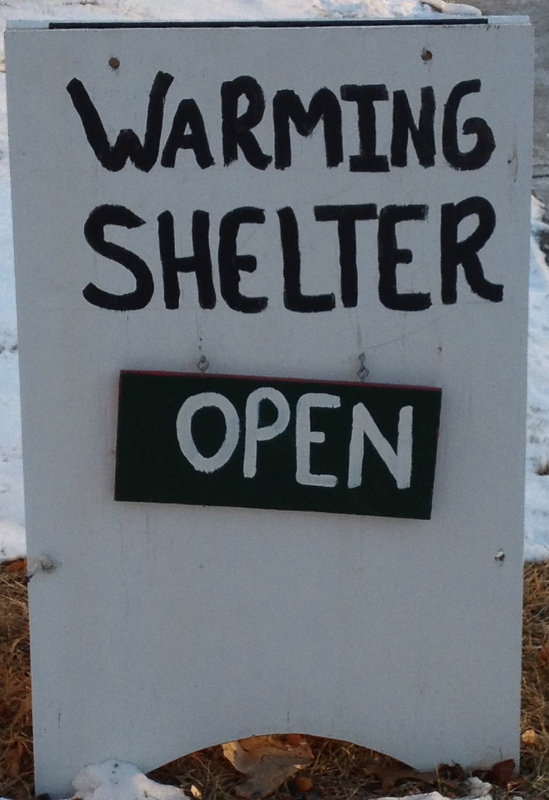 The warming shelter can wait. This entry was posted in Reality check, Small-town life and tagged compost, gun control, hunting, road signs, Vermont. Bookmark the permalink. I miss you, Sue, but thanks for the posts. Oh, the cold…brrrrr….! Hope you stay well and people discover the treasure they have in you! As a life long Vermonter, your recent blog reminded me of the time Vermont passed its Civil Union law. The contraion view was to post signs throughout the state saying “Take Back Vermont”, from those who did not agree with this progressive thinking in the early 2,000’s. Many folks, not unlike yourself, when visiting the State, thought it was a brilliant marketing campaign Branding Vermont and it’s home grown products, such as syrup, cheese, etc, and to purchase some on the way back home. I always got a kick out that thinking during a heady time in our State’s history.